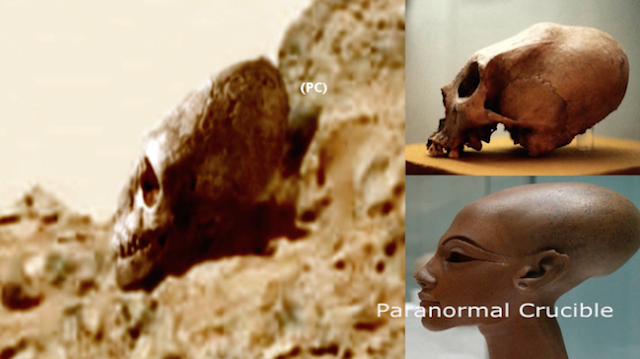 UFO SIGHTINGS DAILY: Alien Egyptian Skull Found On Mars, Lets Take A Second Look, June 2016, Video, UFO Sighting News. 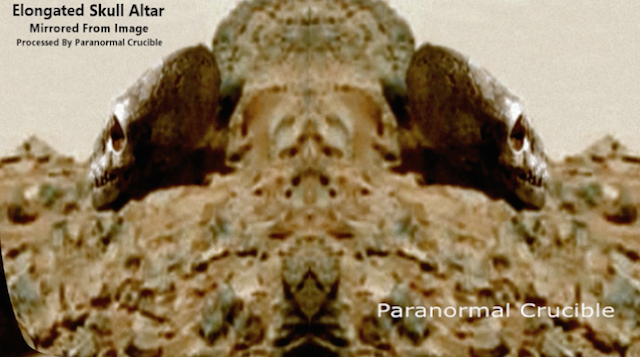 Alien Egyptian Skull Found On Mars, Lets Take A Second Look, June 2016, Video, UFO Sighting News. Here is a great redo of one of the most amazing faces ever found. A giant skull on a mountain. Also in this photo are a lot of signs of broken cornerstones, walls, and other parts of structures strewn about. Clearly this location was once a thriving community. Great work by Paranormal Crucible at retouching it to make it more clear, and to see what it might have looked like when it was new. But what is this material they used to make their buildings, heads and such? 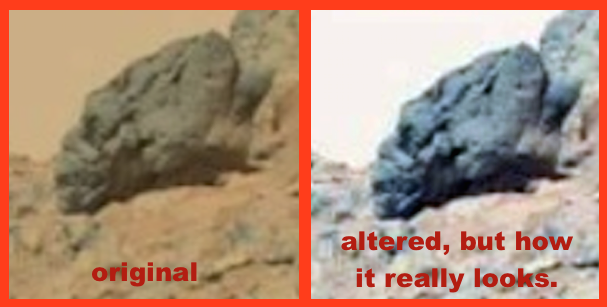 It looks like its a simple mix of the blueish sand found on Mars, mixed with some kind of cement mixture to give it lasting strength. Much how we make cement for buildings and sidewalks.